What’s So Strange About The Arnolfini Portrait? Jan van Eyck considered to be one of the most significant artists of the 15th century created an intriguing masterpiece in 1934. This Flemish painter known as the inventor of oil paintings still leaves us awestruck with the Arnolfini portrait. 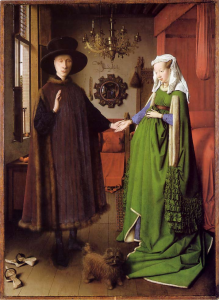 Digging out meanings, interpreting the portrait, many names were given to it such as – Arnolfini Wedding, The Arnolfini Marriage, the Portrait of Giovanni Arnolfini and his Wife, and so on. Who were the Arnolfini’s? Isn’t it strange that a simple portrait of a man and a woman holding hands unveils certain complexities and realities of the time Jan van Eyck painted it. 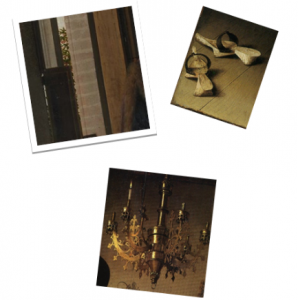 Set in the background of a room, one can easily see a couple holding hands, a dog, a chandelier, windows, and so on. But the minutest details are mind boggling and takes one back on a cultural ride to the Van Eyck’s time. The portrait highlights the social status of the Arnolfini’s. The Italian merchant Giovanni di Nicolao Arnolfini and his wife believed to be quite wealthy can be depicted in the portrait with the finest details of the quality of clothes worn by the couple. One can spot everything expensive from fur, silk, wool, to linen, leather, and gold. Other than the attire and lavish room, oranges depict their status too as they used to be a rare delicacy in those days. The most peculiar feature of the painting is the mirror. If you take a closer look at the mirror you’ll notice the presence of 2 more people in the room. One of the people is said to be the painter himself. It’s interesting how the painter has captured everything a mirror could reflect from that angle. 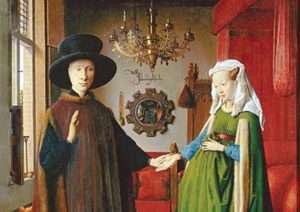 Considered as a symbol of marriage, in reality the Arnolfini’s were a wedded couple but it was union of the unequal known as ‘left-handed marriage’ as depicted in the painting the man is holding the woman’s left hand. The raised hand of the man means that he is taking an oath, explaining the two people shown in the mirror as the witnesses to the union between the man and the woman. The portrait suggests that the woman may be pregnant, it’s a very strange bulge but it depicts the dressing style of that time. However, the wooden cradle by the bed symbolises fertility. These contradictory, complex yet simple details make the Arnolfini portrait strange. 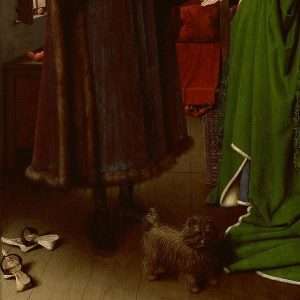 The dog in the painting symbolizes faithfulness and wealth; it’s apparently a rare breed. The most interesting part of this is the human touch given to the dog’s expressions. It looks straight at the viewer of the painting. 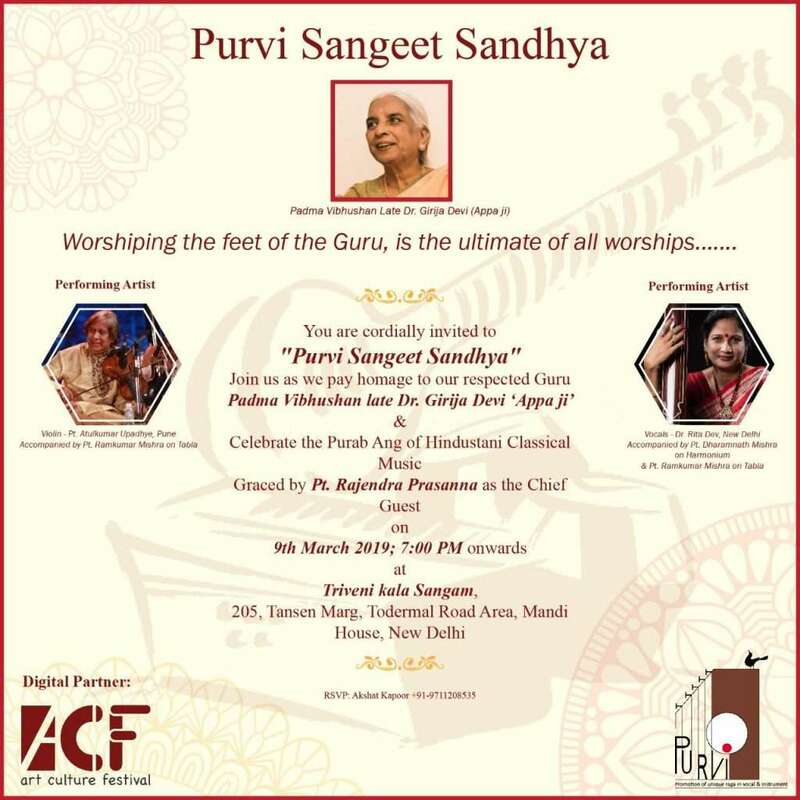 A few other brilliantly captured components are – how the painter has managed to show the difference between the wooden floor and the wooden pair of slippers, we also get the glimpse of the outside life via the window, the chandelier with only one lit candle, and so on. The portrait is significant because it looks so realistic that could be mistaken for a photograph. The portrait exhibits an extremely skilled use of oil colours. 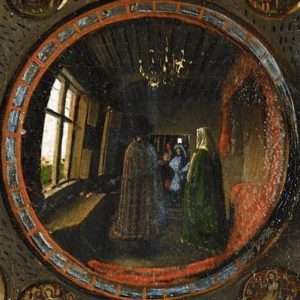 Jan Van Eyck was the first to reach perfection in this medium. It is said that Jan used the technique of applying layer after layer of thin translucent glazes. The way he has brought realism and depth in portrait will always remain a mystery. The manner in which the artist signs his name on the painting is also one of the most talked about things. 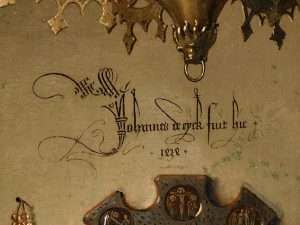 The signature in the painting reads ‘Jan van Eyck was here’. Is Art Still Entirely Commercial? Oil was always used to paint (walls and decorations) but the medium is not permanent. The van Eyck introduced natural resins. The noon “oil painting” is massively used by auctioneers for anything on a canvas. 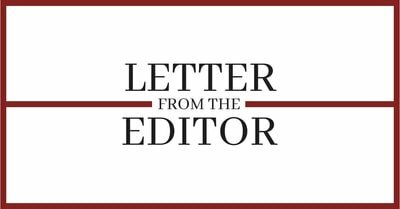 This dishonest habit has heavy consequences on the common practice of painters.